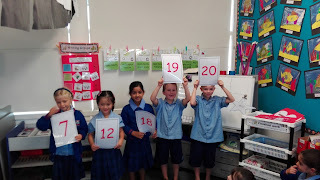 Today we used the numbers 0-20 to make a human numberline. 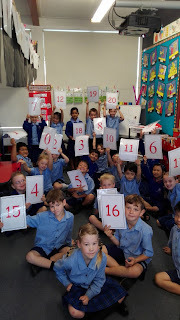 We counted forwards, backwards, said the number before and after, then we ordered random numbers to 20. 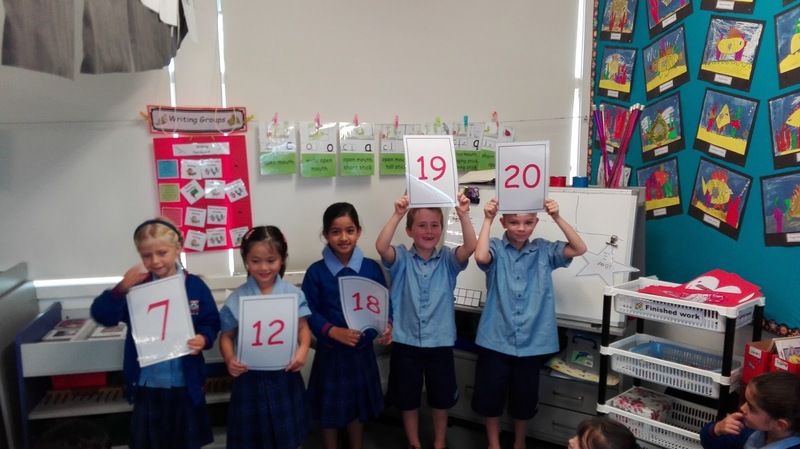 What a fun lesson! !